Thirst? 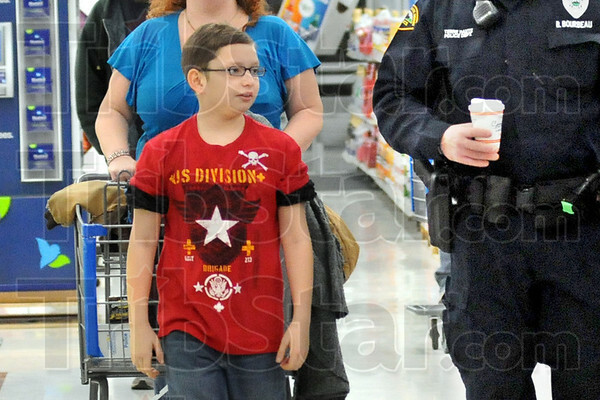 : Dyllan Deal walks through Walmart with Terre Haute police officer Brian Bourbeau as he prepares to spend $100 on items of his choice Sunday morning. Dyllan's choice appears to be the cup of coffee in the officers hand.